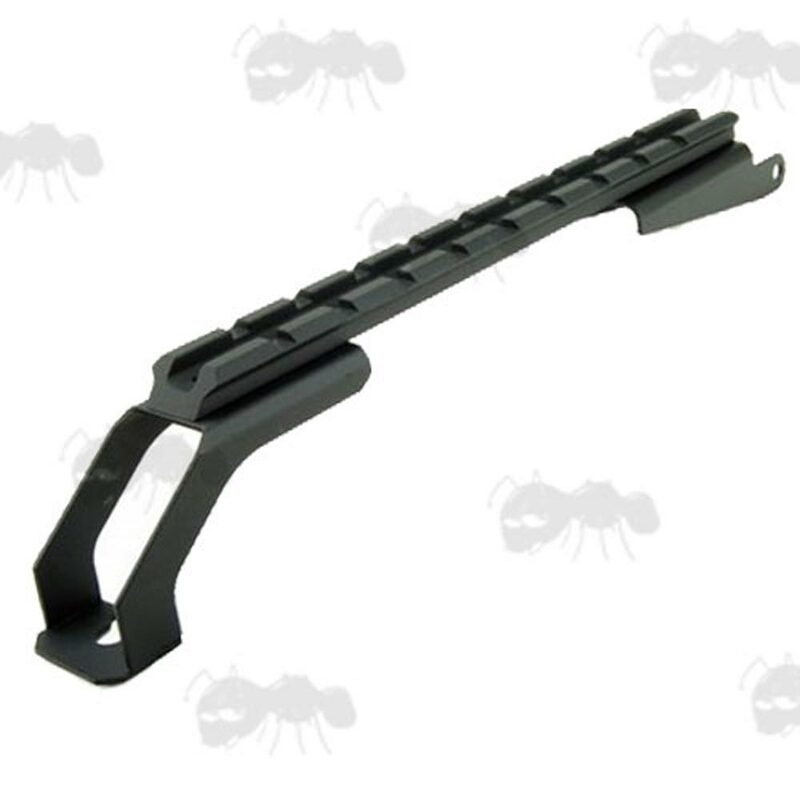 Also available ~ AK side mounted rails. For fitting to the Airsoft AK rifles. 195mm long with 9 slots. Weight ~ approx 130 grams. Add a tactical rail system on top of your AK receiver to allow the attachment of a tactical laser, torch or scope etc. 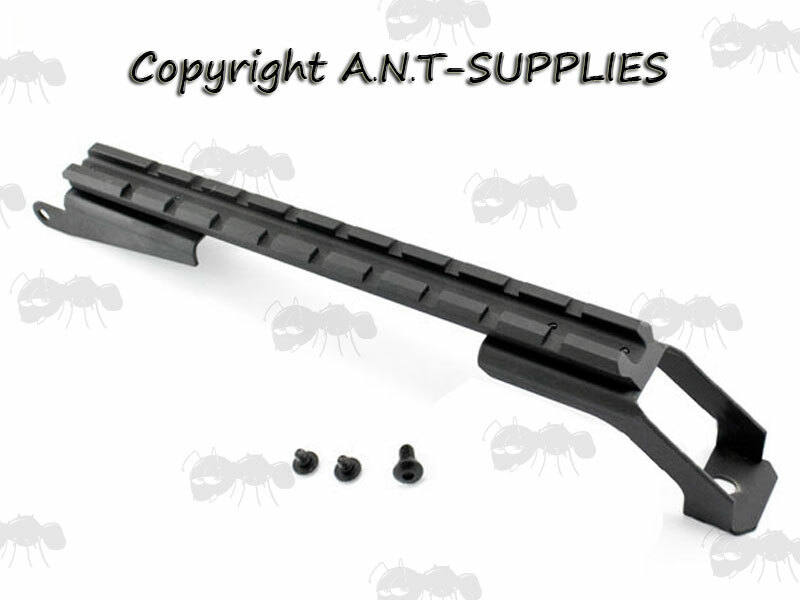 It will require more Gunsmithing than most other mounts we stock. It may not fit all AK's (Ak-74 and variants), but it can be returned for a full refund if not to fit. If you see this message, it means that your browser doesn't support iframes or they are disabled. You can access the information shown in this frame here: AK Accessories Product Scroller.